Your website’s home page is the face of your company, the first thing online visitors see when they’re meeting you. And their first impression of you is really going to stink if your home page is riddled with any of these horrors. While mystery theater, novels and British TV shows are cool, mystery home pages aren’t. If your home page makes it a mystery as to what your company actually does, then you’re guilty of this offense. Your site visitors should have a good grasp of what your company does within 10 seconds of landing on your site – without having to head to your About page to find out. Making it tough to find your contact information or social links is another mystery you want to avoid. Make contacting you easy, obvious and totally mystery-free. Do the same with a search box for your site, optimally situated on the home page. Visitors should be able to quickly locate what they want to find, and a prominent search box can help them do so. While we’re all about being slick and clever, your home page navigation may not be the best place to be either. We’ve seen plenty of super-slick sites with navigation items that are ambiguous, make no sense or take about 20 minutes to even find. Horrific navigation options are a surefire way to frustrate visitors, potentially enough to leave your site in search of a firm with a home page that actually makes sense. You want visitors to know where to look for navigation items and how to effectively use them to get around your site. Ever see those home pages where a totally creepy video person walks, talks and otherwise bounces around your screen trying to tell you something? Those creepy video people are more horrific than Freddy Kruger. When you’re meeting someone for the first time, you don’t immediately ask them for their home address. Or if you do, you probably don’t have many second-time encounters. Home pages that force visitors to enter their email address to even access the site are essentially being that rude and intrusive. Another rude and intrusive horror is accosting your visitors with pop-ups. It doesn’t matter what the pop-ups say or when they appear, they’re a definite don’t on your home page – or anywhere else throughout your site. Two more home page horrors top off the list of mistakes you could be making on your site. One is being mobile-unfriendly. Responsive design has been around for some time, ensuring your entire website can be viewed and engaged with on tablets, smart phones and other mobile devices. Beginning in October 2016, more folks accessed the internet from mobile devices than they did from desktops or laptops. Just something to keep in mind. 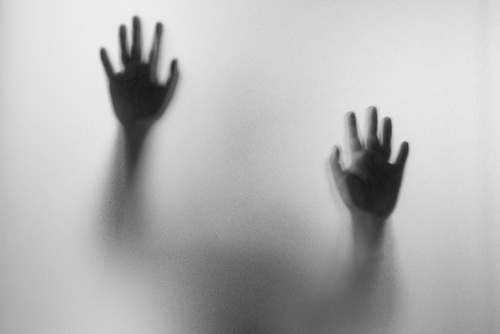 The final horror is one your company could be experiencing – missing out on tons of opportunities to generate leads and start building relationships with your visitors. And this horror could be avoided by simply including a call-to-action on your home page. Even if it’s something as simple as “learn more” or “read more,” directing users to a next step can help transform them from strangers and visitors to leads. If your home page is suffering from any of these horrors, don’t despair. Just take note than make edits to amend the mistakes. Doing so can transform the experience from a horrific one to a happy one for users as well as your brand.